Alpina AT584HCB Ride on Lawn mower. Now in stock for 2019, prices here. Alpina is a fresh and innovative Italian brand, perfect to satisfy every gardening requirement at friendly prices. 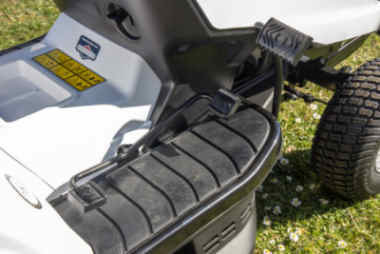 The exciting and stylish Alpina ride on lawn mowers are capable of delivering top results and personal satisfaction to your domestic gardening activities. Suitable for all those who love to take care of their garden in a breezy and pleasant way with enviable results, Alpina lawn mowers match ease of use and maneuverability with aesthetics and design. The Alpina Alpina AT584HCB is a very popular model, suitable for all medium sized gardens, with 240 litre Grass bag and a Briggs & Stratton 344cc engine. Information on the Alpina AT584HCB ride on lawn mower - 33 inch cut with 344 cc Briggs & Stratton Engine. 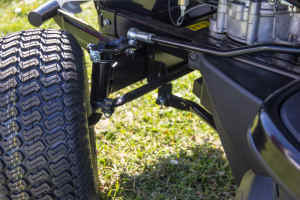 Adjustable steering, pivoting front axle with sturdy front bumper bar. 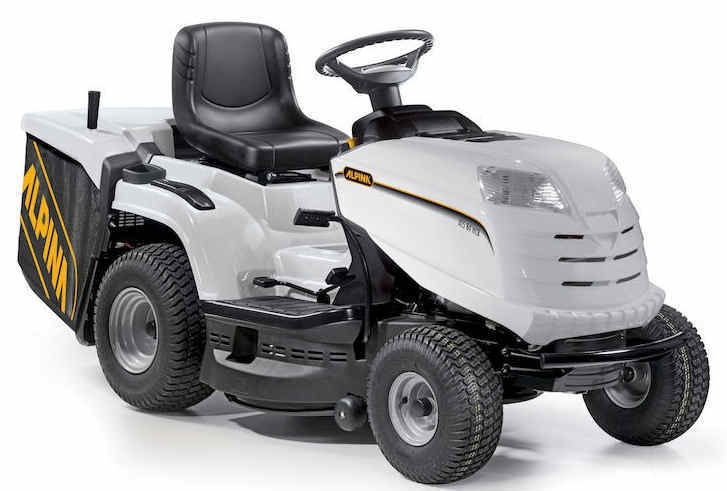 If you need a larger lawn mower then check out the Alpina AT598HCB here for great value.